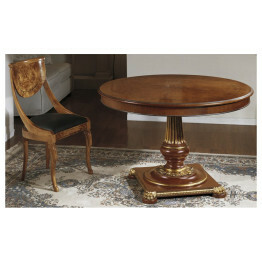 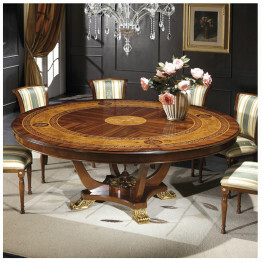 Classic Italian round dining table shown in 63″ size inlaid in a walnut finish with gold decoration. 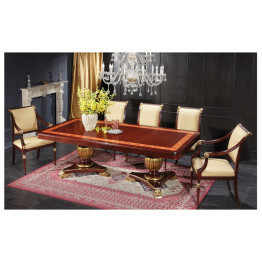 The distinct base is a special design straight from the Milan furniture showing in Italy. 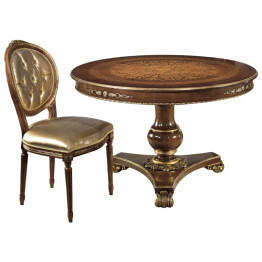 This round table combines old world Italian elegance with the gold embellishments and adds a unique flair with the distinguished scrolled base. 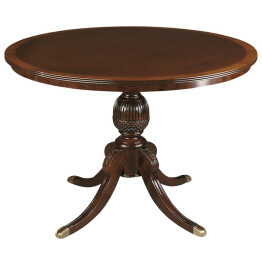 Available in walnut, cherry, or mahogany finish. 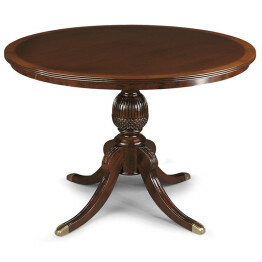 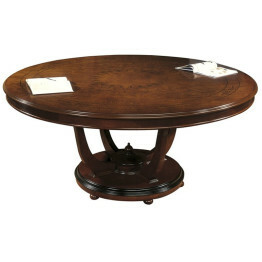 Classic round dining table shown in 51″ size with custom inlay and walnut finish. 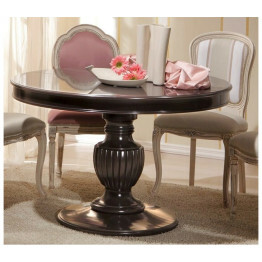 Sophisticated Italian design makes this round table refined and tasteful. 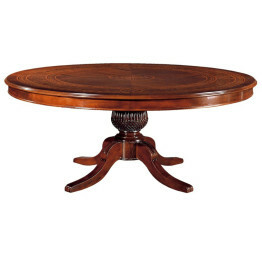 The uniquely scrolled base offers not only an exquisite shape but also tremendous sturdiness. 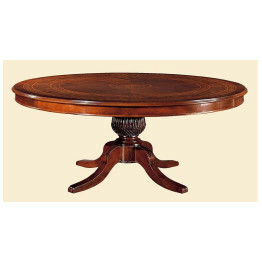 This small round table is finished in a multi-step process that makes the walnut finish rich in depth to warm up any dining room. 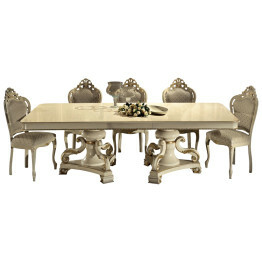 To customize your table please call or e-mail our experienced staff at Italybyweb.com . 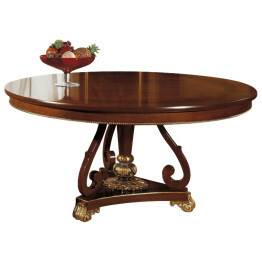 We will assist you with any questions you may have and help guide you through all of the options available. 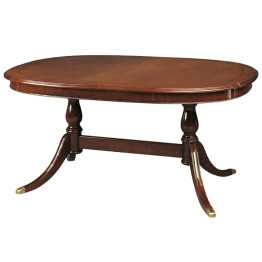 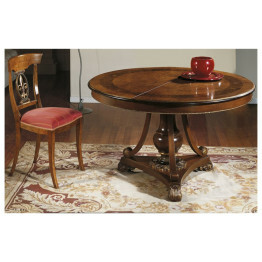 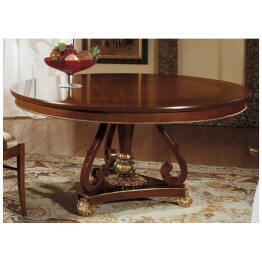 Eloquently curved round table shown in 47″ with a deeply rich mahogany top and cherry band in walnut finish. 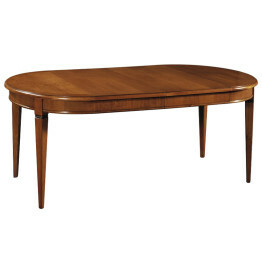 Fit this table with ease into any interior. 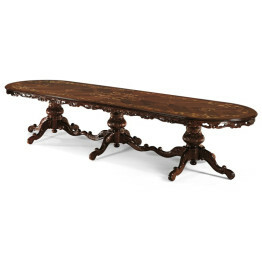 Modest in size and traditionally styled this piece will be a beloved fixture in your home for countless years. 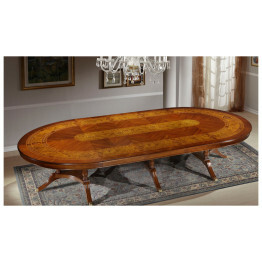 All of the fine Italian furniture featured on Italybyweb.com is hand constructed to your specifications and taste. 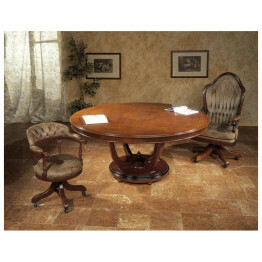 Please call us for further information on the custom options available or for your custom furniture quote! 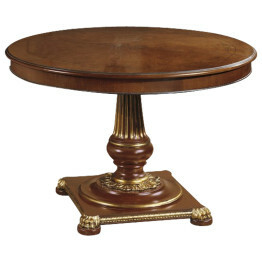 You may combine any of the pedestal bases with a top of 47″, 49″ or 51″. 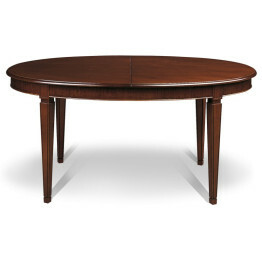 Unveiled at the 2012 Milan furniture fair, this re-imagined version of the popular GV1096 round Italian table provides a chic look while also being practical. 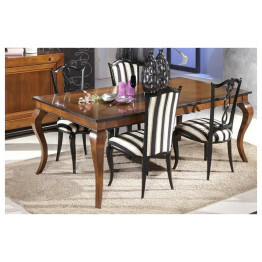 Shown in 47″ size with optional 15.7″ externally-storing extension. 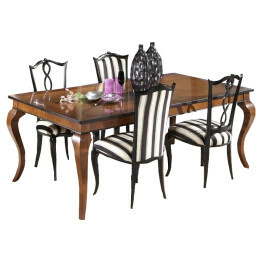 Classic Italian dining chairs pictured are the GV784, GV788, GV789 and GV790. 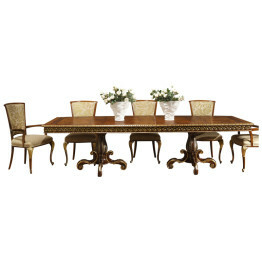 The Regal Collection is handcrafted in Italy by the 3rd generation Guerra Vanni Family. 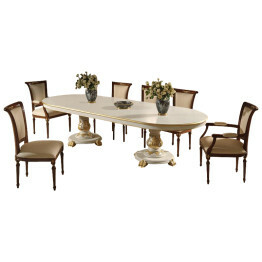 The Regale Collection Lacquered table will infuse your dining room with a soft serenity with this light yet substantial ivory and gold Italian dining table. 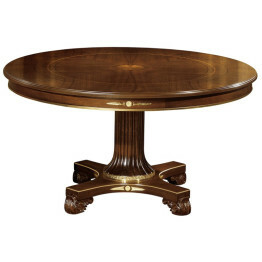 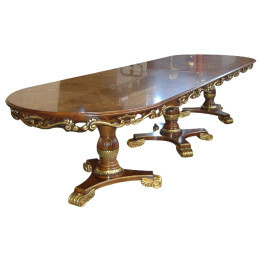 Set atop two rounded pedestals, this beautiful handcrafted oval Italian dining table is Made 100% in Italy and features an ivory lacquer finish, with gold accents. 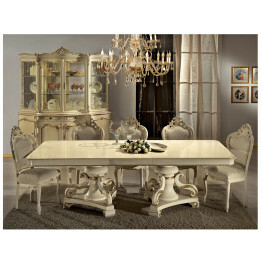 Our exclusive relationship with The Guerra Vanni family in Italy over the past ten years has allowed us at Italy by Web to deliver furniture collections that define an Italian sophistication and practicality you won’t find anywhere else at a price you can afford. 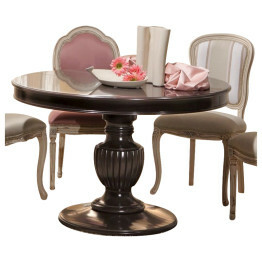 Add Extensions or Leaves for more seating. 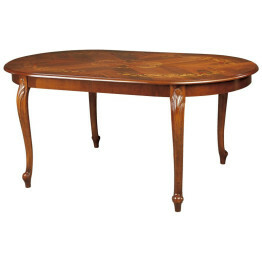 Click ADD TO QUOTE for a Quote. 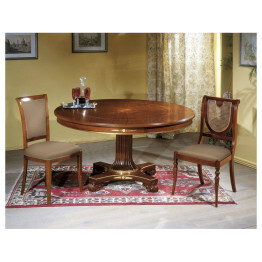 Classic Italian oval dining table with four legs available in 65″ size with extension. 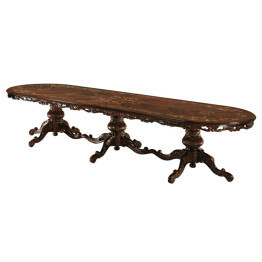 Perfect for an eat-in kitchen or a small dining room. 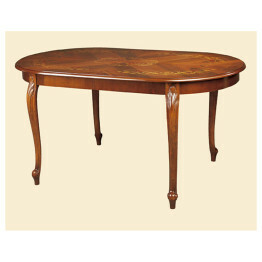 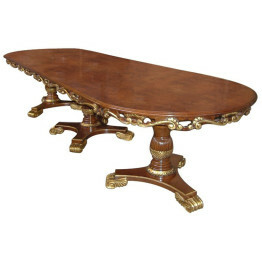 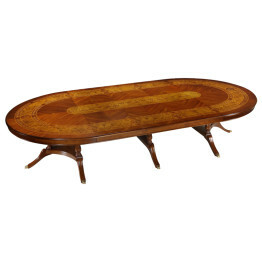 Classic oval table shown closed in a walnut finish. 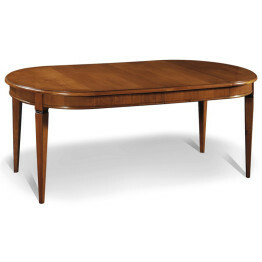 65″l (81″ with ext.) 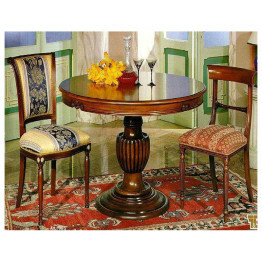 x 43″w x 30″h. 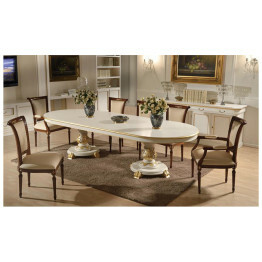 Classic Italian oval dining table in a 47″ size, available with up to three 17.7″ extensions. 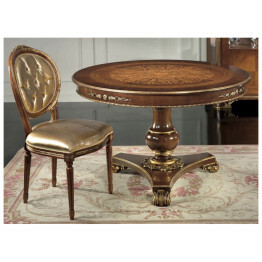 Modest and traditional design reflects a refined but classic style in your home. 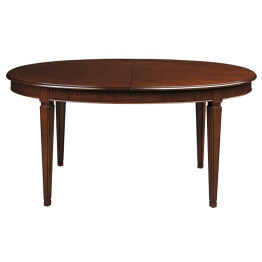 Great for big parties, when fully extended this oval table can fit up to 10 seats! 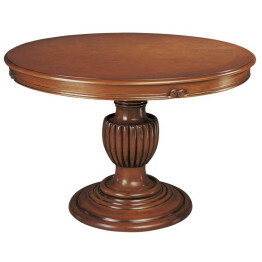 Customize your table by adding a feathered mahogany top or your choice of 3 different finishes. 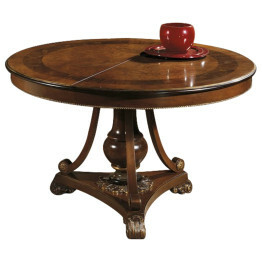 Oval table shown closed in a cherry finish. 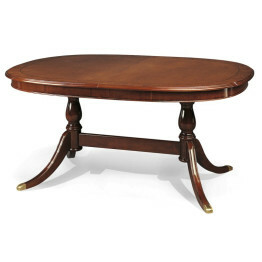 Dress up your dining area with this Classic Oval Dining Table shown in walnut finish with briar band. 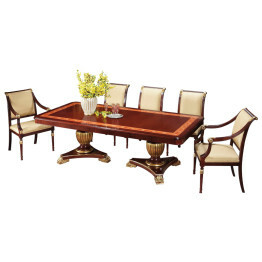 Italian table available with extensions to make the table up to 83″ long. 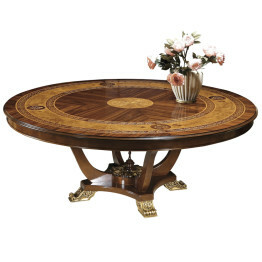 Handcrafted of all walnut wood in the workshops of skilled Italian craftsmen. 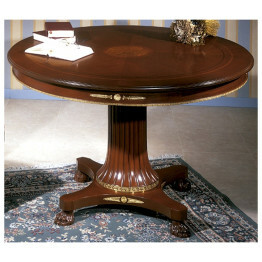 Table top and base can be stained or painted in your choice of several finishes. 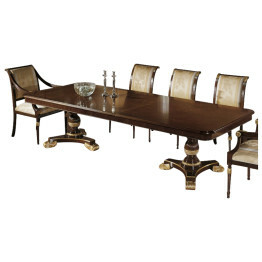 Beautiful hand crafted formal Italian dining table. 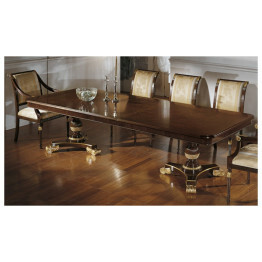 Made 100% in Italy by skilled Italian craftsmen with generations of furniture building experience. 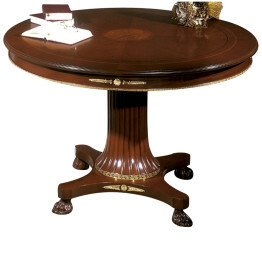 This Classic Oval Italian dining room table is shown in 158″ (L) with three pedestals, scrolled skirt and legs and floral inlay in walnut finish.